iPhone Stuck in Recovery Mode? Here Are Real Fixes! At many instances, your iPhone stuck in recovery mode won't restore. You might face this problem while updating to iOS 12 or restoring your iPhone from iCloud. Once it's stuck in recovery mode, you cannot go ahead with updates. More importantly, you cannot operate your device without knowing how to fix the issue. Many people get annoyed and visit nearby servicing centers to make their device functional. In this post, we will focus on why iPhone stuck in recovery mode loop and the methods to sort out the issues. Part 1. Why Is Your iPhone Stuck in Recovery Mode? There are many common causes that make your iPhone stuck in recovery mode. It is important to find out the possible causes before trying to get a solution. There are two key causes of such a problem. It can be either software corruption or hardware issues. You can have software issues while updating your device to the latest software. Some other causes are virus attacks and jailbreak. You might have this problem while activating the recovery mode to solve another issue. There are many effective and simple ways to fix an iPhone stuck in recovery mode. We will discuss some proven methods in the following paragraphs. This is the easiest method and can sort out the issue in most of the cases. To force restart different models of iPhone, it may vary a little. For all iPhone 6 and earlier, you will have to press both Home and Power buttons for around fifteen seconds or more until your device turns off. Once it is turned off, you will have to turn on the device to know it has started working normally or not. On iPhone 7/7 Plus, press and hold the Power button and the Volume Down button simultaneously till the Apple logo appears. 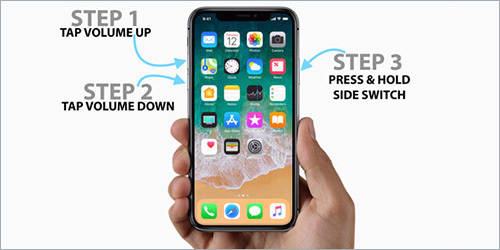 For iPhone 8/X/XS (Max)/XR, press and release Volume Up button first and then press and release Volume Down button. Press and hold the Power button until you see the Apple logo on the screen. 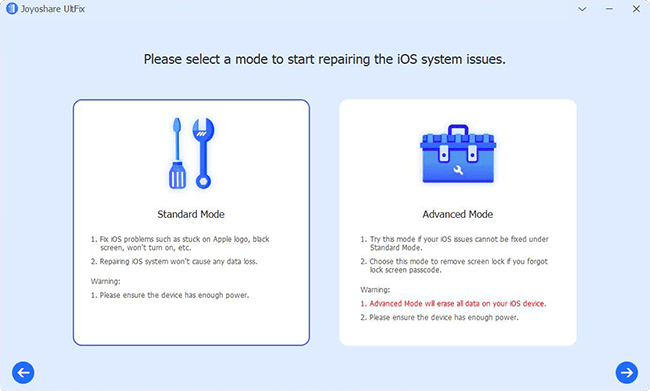 You can use iTunes to fix iPhone stuck in recovery mode issue. You can check the latest version and updates to ensure that there is no issue with the software. If you are a Mac user, then you can follow a few steps to check the status of your iPhone. Open your Mac and then launch the App Store on it. Go to the update option that you will find at the top of App Store Interface. If an update is available, you can click the "Update" button to fix the issue. Window users need to follow some different steps to check the update status. If you are using Windows, you need to run iTunes on your PC and then click on the Help menu. In the Help menu, you will have to select Check for Updates to find out pending updates. If there is any, you can update your device to sort out the issue. If still, the problem is persisting, you can follow the next step. Note: Check your internet connection. You will need a very active internet connection for updates. If it is slow, then it might create a problem. After updating iTunes, you need to connect your iPhone to a laptop or computer. You will find an error indicating that it has detected a device in Recovery Mode. Once the error message comes, you will have to click on Ok. Now, go to the menu to find out the device and then click on your device. Once it is done, you can select on the Summary and Restore iPhone buttons. You are done. Your device will start working normally. Note: By restoring iPhone to factory settings, all content and settings will be erased. 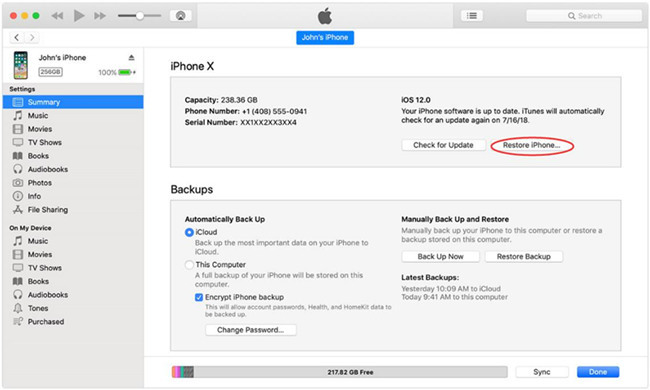 Please make sure you have an iTunes or iCloud backup in advance, so that you can get iPhone data backup by restoring an iTunes/iCloud backup file. If the aforementioned three methods cannot help you fix iPhone stuck in recovery mode problem, a professional iOS repair tool must be a great helper. 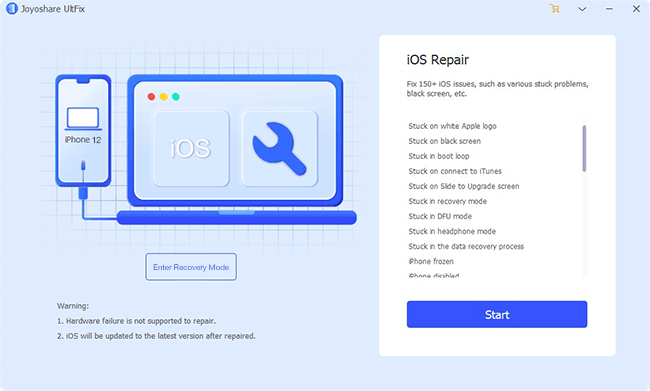 There are a lot of iOS repair utilities in the market that can help fix iOS system problems such as stuck in DFU mode, stuck on white Apple logo, black screen, etc. 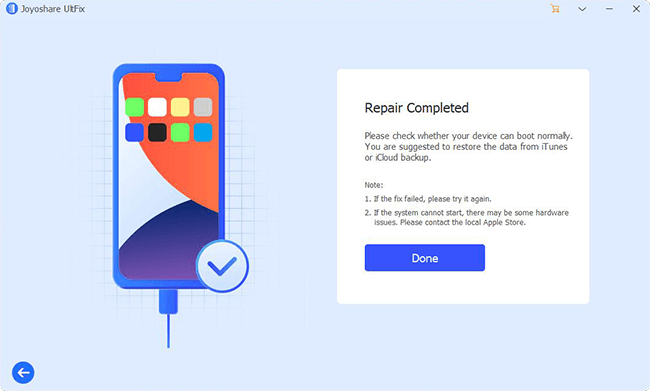 Among them, Joyoshare UltFix iOS System Recovery is highly recommended here which will help you reslove iPhone stuck in recovery mode issue without data loss in just a few of clicks. Joyoshare UltFix is capable of repairing up to 30+ types of iOS problems on iPhone, iPad and iPod touch like black screen of death, white screen of death, stuck in headphone mode, keeps restarting, no service, iPhone won't turn on, etc. Besides, it also allows you to enter or exit the recovery mode in one click, which will save you much time and effort to do it. You can also use it to downgrade iOS version, bypass iTunes restore and errors, etc. Note: If it fails to fix your iOS system under Standard Mode, you can try Advanced Mode. Step 3: When the download completes, you can now click the "Repair" button to unzip the firmware package and fix iPhone stuck in recovery mode problem in Joyoshare. Wait a while until the process ends. Then your iPhone will come back to normal again. All these methods are effective to fix your iPhone stuck in recovery mode. Try them one by one until this issue was resolved. If none of these works, you can then take your iPhone to the local Apple Store and ask the technical personnel for help. Note: Please always remember to back up your iPhone data regularly, for it may be lost once it is stuck in the recovery mode. If you find your have lost some important iOS data, please try using Joyoshare iPhone Data Recovery to recover them with highest success rate. iPhone Touch ID Not Working? Fixed!